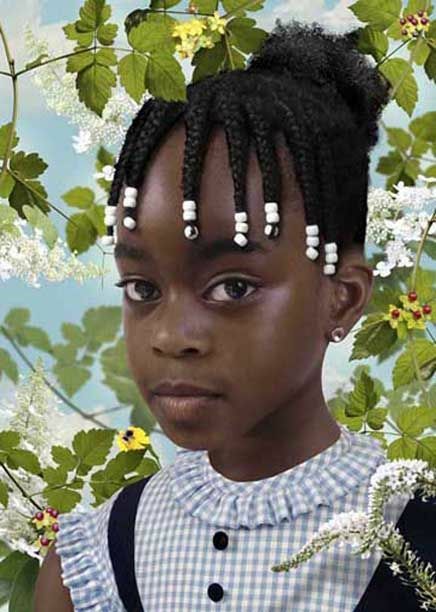 Stux Gallery will present two major panoramic works by Dutch artist Ruud van Empel, from his new series Generation. The exhibition will open on Thursday, September 16, 2010 with a reception from 6-8 PM. In other recent series, van Empel has become well known for his explorations of childhood and innocence, placing uncanny youngsters in a variety of Edenic settings. In the new series entitled Generation, he has followed these children to school, as it were, in two large panoramas presenting them in the format of the class photo, lined up in ascending rows against a simple backdrop. As has been his working practice for some time, van Empel constructs these images as a collage of dozens of individual digital photographs, stitched together in Photoshop, a process that enables him to create very large finished images, while maintaining high resolution. This process also enables the artist to have much greater control over all the individual elements of the picture, from selection of the individual expressions on the children’s faces to the play of vivid colors across the carefully coordinated ‘picture day’ school clothing each of them wears. That one of the panoramas features only black children, and the other basically only whites, opens the work up to another aspect that has often been misunderstood in van Empel’s work—the issue of race. 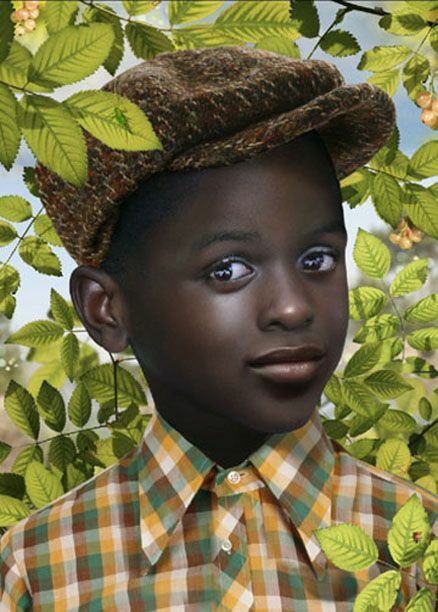 “Ruud van Empel is not primarily concerned with whether the portrayed people are black or white,” as art historian Maartje van den Heuvel notes in a recent essay, but he “finds himself in the socially charged position of a white man who portrays blacks.” He is not interested in rehashing old stereotypes, but rather in the process of constructing the image, and in the aesthetic experience to be found in that constructed universe, which is in its own way a radical (and often uncanny) departure from the everyday world of received, conventional meanings. The disruption of apparently straightforward meaning is integral to the charge of van Empel’s pictures. These children are entering a period of profound disruption nearing the age of puberty, a key life passage that has also served as a locus of interest for artists from Diane Arbus to Rineke Dijkstra. While the children all face forward, their gazes vary, at times seeming uncomfortable with the prospect of meeting that of the camera/viewer. It is this almost existential discomfort—displaced to the empathetic viewer—that again gives these works their fundamental charge, opening them up to more active emotional investment/engagement. In the mold of August Sander, one of van Empel’s stated influences, these young adolescents are seen as universal types, but in a way that allows for deeper insight into the humanity of both their situation, and of our own.